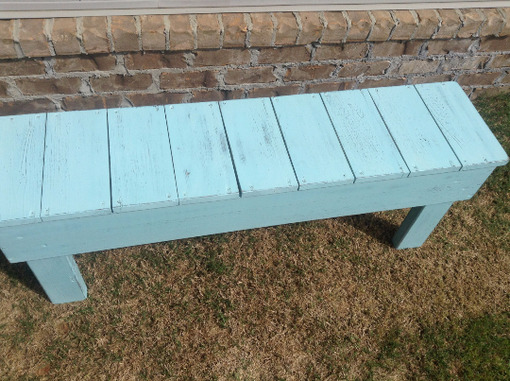 This is a distressed bench painted the color of you choice. 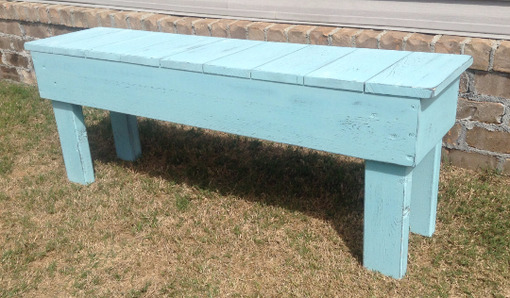 They can be used for sitting or for decorative pieces. Base Coat will be brown unless otherwise requested!